Let the Santa Anastasia whisk you away on a stress-free Adriatic adventure. This 2013 Salona 44, with its ample kitchen facilities, generous salon, 4 cabins that sleep 8 and 2 bathrooms is the perfect means to a perfect end. This performance cruiser is a great way to let go and race away from hectic every day life. Take some time to recharge those batteries, hire a skipper to make your trip worry-free, or join in a local race and raise those sails with the best of them. This boat is great for families and team builders alike. 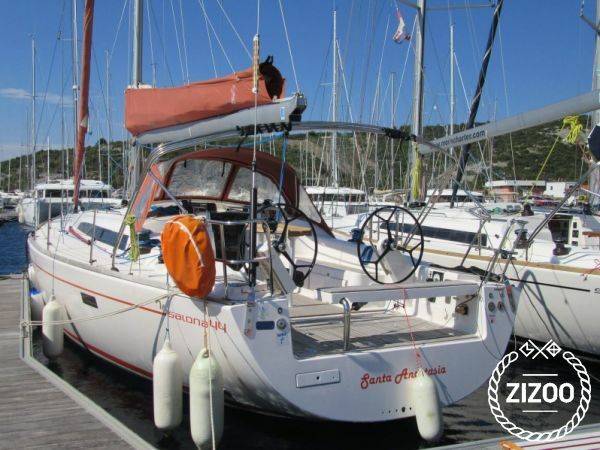 This sailboat is both refined and sophisticated, and cruises in a relaxed yet confident manner. So no matter what type of sailing holiday you are looking for, the Santa Anastasia will deliver. And for any sailing queries or questions don't hesitate to contact the experienced crew. Es war unser erster Törn über Zizoo. Alles gut geklappt.